It is best to let a professional remove the virus, they can check for other infections and make suggestions on how to prevent future infections. What anti-virus do you recommend? We recommend that you change anti-virus software every six months. 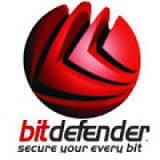 There are plenty of quality free options to choose from, we sponsor Bitdefender and Avast on our website. How long does it take to remove a virus? It all depends on the virus, some viruses complete shutdown your system, they opften take several hours of scanning to remove, without proper care a virus can render your hard drive unusable and may cost more than expected if you don't have it removed quickly. Will Microsoft call my house wanting to Access my computer? No, Never let anyone have remote access to your computer, unless you have met them in person. These are common scams to ransom your computer for money. Effective 6/1/2011, All items being repaired must be picked up or delivered within 14 days of completion. After 14 days a $10.00 per week charge will be added to the invoice. All items not picked up or delivered within 30 days will become property of Wright Computer Service.